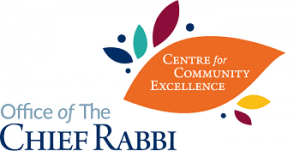 The three main orthodox shuls in Leeds – Etz Chaim, United Hebrew Congregation Leeds and Beth Hamidrash Hagadol – came together for some spectacular ShabbatUK celebrations with special guest of honour, the Chief Rabbi. He spoke at the services and large communal meals staged across Shabbat, giving attendees the chance to both learn from and interact with him. Six-13 acapella group were on hand to ramp up the ruach at services led by the youth, while their performance at the musical Havdalah made for an uplifting conclusion to the Leeds ShabbatUK. The run-up to ShabbatUK in Leeds was equally memorable, with a Shabbat learning course run by Rabbi and Rebbetzen Kupperman attracting great interest, and as always, the Challah Make also went down very well. “Fantastic! Wonderful atmosphere in the community throughout Shabbos. The presence of the Chief Rabbi made the Shabbos even more special”. “It was all really enjoyable. The kids had a great time”. “All the events were very well organised and the experience from all left a lasting memory of a very enjoyable and spiritual weekend”. “The 6 week Shabbat lecture course was amazing. It was engaging and informative. It started at about 20 participants and by the final week there wherever 60 men and women of all ages, from late teens to over 80s”.